On the way home from work today, a dumb bird decided that the piece of food on the ground was worth dying for. 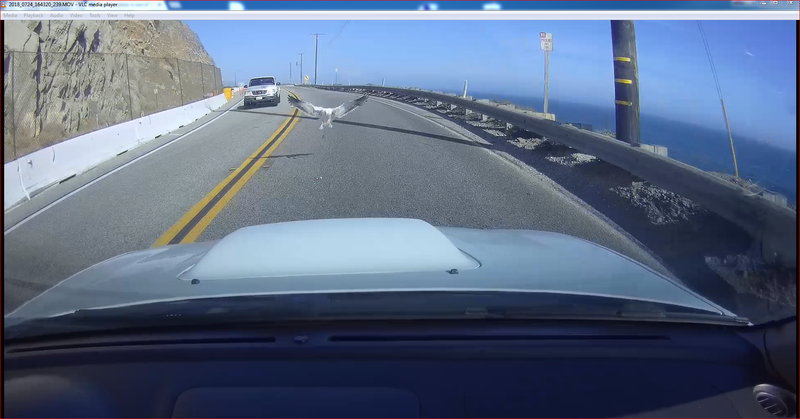 The PCH is HEAVILY trafficked at that time of the day so its not like the bird was going down to some empty stretch of road for a nice little snack. Birds are generally supposed to be somewhat intelligent but that might not apply to seagulls anyways. Enjoy the video of the bird swooping into it’s death. I have no idea how it did not break anything, including my zip tied front license plate. Still need to get a proper mount for it and I refuse to drill holes. But at least its still on there so I must have done a good job with the zip ties!